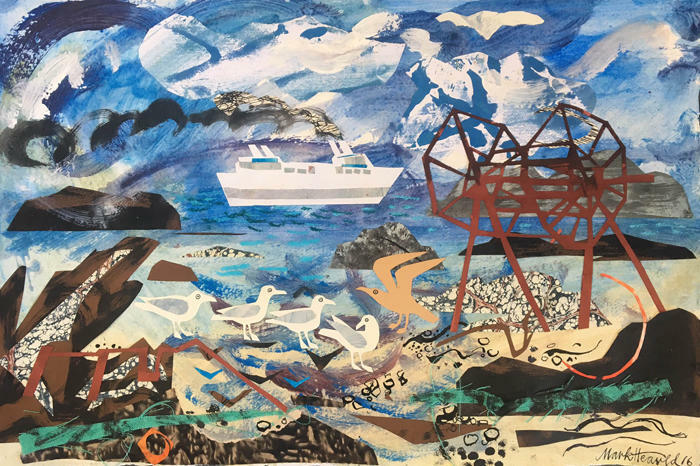 Mark Hearld's new solo exhibition at The Scottish Gallery in Edinburgh takes his love of the British countryside to the far north, with works made after a recent trip to Orkney and Shetland. 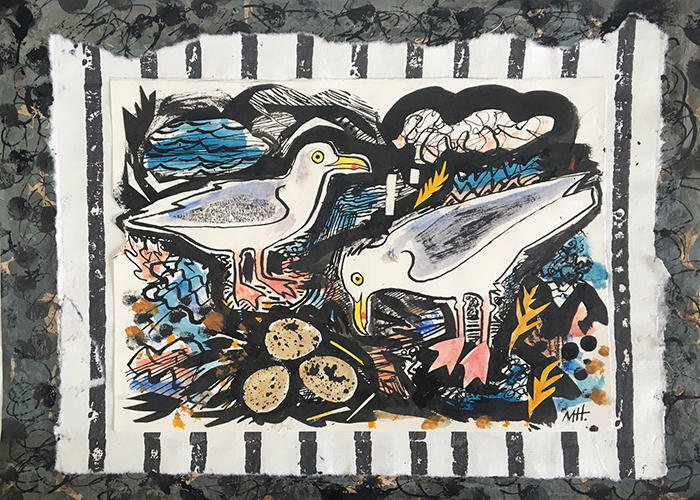 The artist, who studied illustration at Glasgow School of Art and completed an MA in Natural History Illustration at the Royal College of Art in London, has a rare understanding of the natural world, twinned with a curious eye for objects and a magpie approach to collecting. “This August I ventured north of Inverness for the first time. 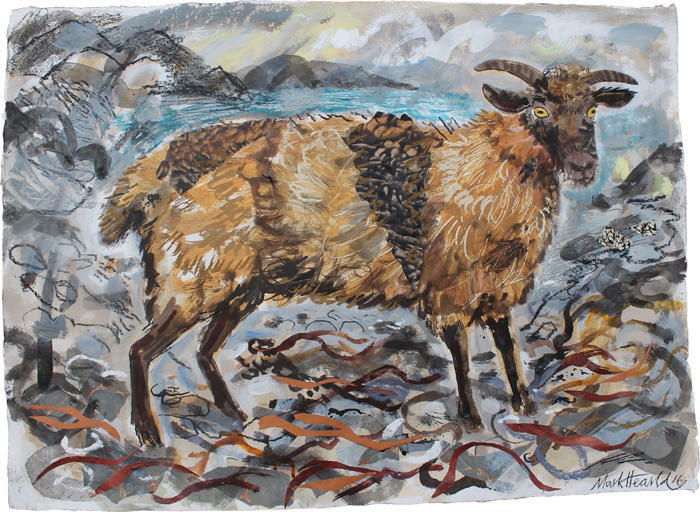 The journey to Shetland was via Orkney - an adventure with my friend and artist Alex Malcolmson. Our intent was to rescue an old boat which had been left to rot and this is to become part of Alex’s sculptural work. The trip was a wonderful opportunity to draw inspiration from the islands. The Pier Arts Centre in Orkney and the Stromness Museum set a fantastic visual tone for the start of the visit and the brief impression of the rest of Orkney means that I will certainly go back. There were so many beautiful images to take in such as the sight of at least 50 swans on the lake. 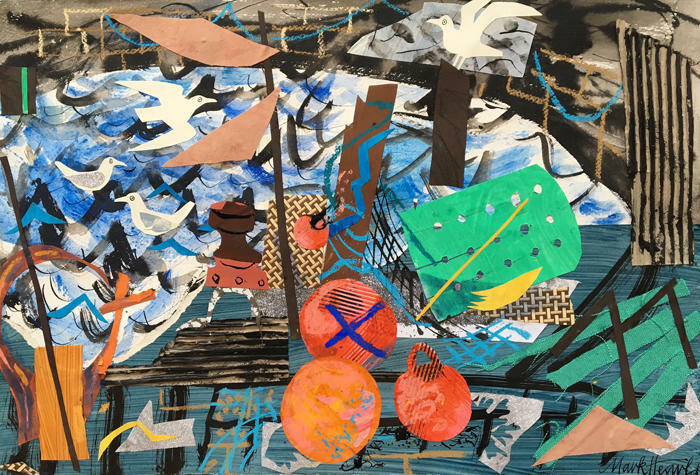 'Mark Hearld: Collage, Pigeons and Platters' runs to 29 October. More images from the exhibition are available to view on The Scottish Gallery website.